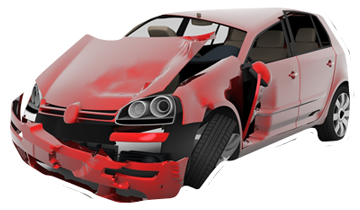 We handle accident claims of all types including. No matter what type of injury you have suffered, or how it was caused, if it happened in the last three years and it wasn;t your fault we can hlp you get the compensation you deserve. Your employer has a duty to safeguard your health in the workplace. If you have suffered an injury at work in Scotland, and your employer or a colleague was at fault, we can help. Find out more about making a Compensation Claim against your Employer. Many thousands of us people are injured on the road each year. If you were a driver, a pedestrian, a passenger, a cyclist or other road user, we can help you get Compensation for an Accident on the Road. Unfortunately, many injuries are caused by uninsured drivers. You can still make a claim, even if you are involved in an accident with a driver who is not insured or can't be found. Every year, there are thousands of golfing injuries in Scotland. All golfers in Scotland are obliged to take reasonable care to guard against injuring anyone who may foreseeably be injured, including spectators, bystanders, fellow golfers and anyone using the course or surrounding area. If you have suffered a golf injury, we can help you win 100% compensation. Main law firms and claims handlers offer a "No Win, No Fee" service or make promises of "100% Compensation". We genuinely offer both - no strings attached. You keep every last penny of your compensation. Find out how ''No win, No Fee' compensation claims work. Unfortunately, the medical profession can and do get it wrong. If you have been injured as a result of negligent medical treatment, we can help you claim the compensation you deserve. Click for more information on making a medical negligence claim. Injuries to the back, neck & spine are among the most serious you can suffer. Few injury types can have longer lasting or more serious ramifications. If you have suffered an injury to your back, neck or spine, we can help you claim compensation. Start your Claim: call us on 08082789437.